Eskom, we were reminded last week, is drowning in debt and anticipates a shortfall of R250bn in income over the next three years. Yet the organisation apparently still luxuriates in using race as a criterion in calling for tenders. Accordingly, the business organisation Sakeliga has renewed its legal challenges to regulations enacted under the Preferential Procurement Policy Framework Act of 2000. Promulgated in 2017 by the then finance minister, Pravin Gordhan, the regulations came into operation in April last year. Sakeliga’s argument that they were unconstitutional dismissed by the High Court in November last year. But the organisation is now taking this decision on appeal, as Politicsweb reported last week. Sakeliga CEO Piet le Roux says that Eskom is “increasingly stipulating race-based pre-qualification criteria in its tender documents”. Businesses that are “not 51% black-owned are frequently pre-emptively disqualified from consideration for award of a tender”. They are indeed “rejected out of hand”. The claims are made in a letter to finance minister Tito Mboweni, Eskom CEO Phakamani Habede, and Mr Gordhan in his capacity as minister of public enterprises. The three are asked to suspend all race-based pre-qualification criteria pending the outcome of the appeal. Sakeliga implies that pre-emptively rejecting contractors on racial grounds is not in keeping with the “team effort” Mr Gordhan has called for to resolve the country’s electricity crisis. If Eskom is indeed using race to disqualify contractors on an “increasing” scale, as the Sakeliga letter states, then both Eskom and the government have proved once again that they do not wish to learn from their own calamitous mistakes. Awarding coal supply contracts on the basis of race was one of the reasons for the blackouts that struck the country in January 2008. 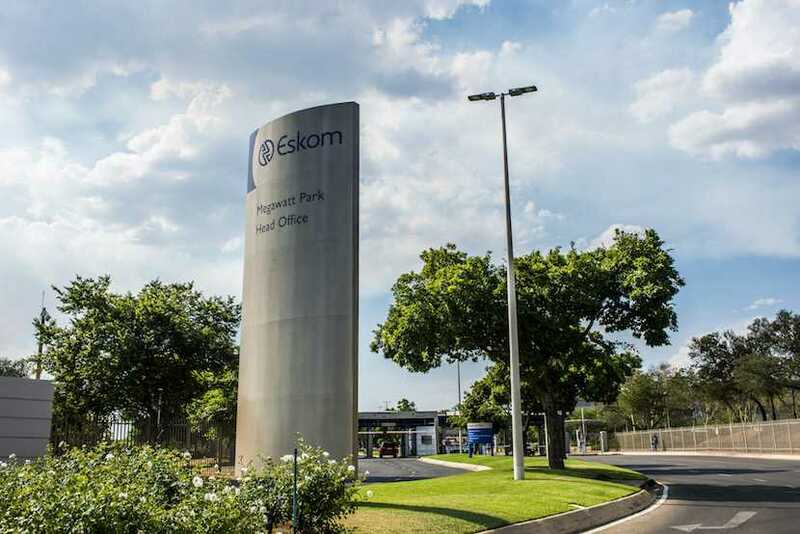 The use of race to weed out white staff down the years has helped to perpetuate the disasters that Eskom continues to inflict upon the country. Last month Mr Gordhan said the previous Eskom CEO and his colleagues “have a lot to explain to South Africa”. So indeed they do. But Mr Gordhan also has some explaining to do, so his brazen scapegoating of Eskom is cynical and hypocritical. The previous CEO – like those of dozens of other moribund state agencies – was put there by the African National Congress. If contracts were awarded to people unable to implement them, or staff appointed to jobs for which they were not qualified, Eskom was merely implementing the ANC government’s radical economic transformation policies. It is indeed still determined, and no doubt expected, to do so. Answering questions in Parliament last month posed by the Freedom Front Plus (FF-plus), Mr Gordhan said that Eskom had a mandate to provide electricity in “an efficient and sustainable manner”, but that it also viewed “transformation as a strategic imperative”. Providing electricity “in an efficient and sustainable manner” is not compatible with disqualifying would-be contractors on the basis of race. Neither is it compatible with any serious attempt to contain costs by Eskom or any other of the state-owned agencies with the R1.5trn budgets set out for them by Mr Gordhan when he was minister of finance – in which capacity he once lamented the enormous wastefulness in public procurement, although this did not stop him from later gazetting regulations to perpetuate the problem. Nor is “efficient” provision of electricity compatible with the continuation of the “strategic imperative” of ensuring that “workplace demographics reflects the economically active population”, to which Mr Gordhan says Eskom – having already “transformed substantially” – will adhere. This means more affirmative action until such time as the proportion of senior managers who are white has dropped from last year’s 31% to 9%. Among professionals and middle managers, whites will have to drop from 24% to 9%. Mr Gordhan also told the FF-plus that Eskom “will always strive to ensure a balance between its core business versus the transformation imperatives of the country”. In other words, he expects the organisation to continue trying to achieve a balance that it has spent the last decade or more proving it cannot achieve. Joh Kane-Berman is a policy fellow at the IRR, a think-tank that promotes political and economic freedom. Readers are invited to take a stand with the IRR by clicking here or sending an SMS with your name to 32823. Each SMS costs R1. Ts and Cs apply.